Meet Joyce Lua, Malaysia’s first female auto detailer. She may not yet be a household name, but she has every right to be. 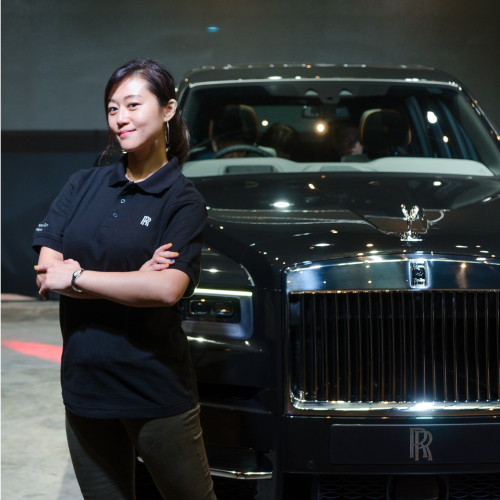 Her consistent perseverance and demonstration of extraordinary auto detailing work in a male-dominated industry in the last 10 years has not only earned her the respect of fellow colleagues in Malaysia and beyond, but has also garnered the attention of luxury powerhouses such as Rolls-Royce. Following the launch of Rolls-Royce’s first all-terrain SUV, the Cullinan, BAZAAR sits with her in the luxurious confines of the cabin of this high-bodied car, as she reveals how she’s risen above the fold in the auto detailing industry, the ways in which she resonates with Rolls-Royce’s most versatile and technologically advanced car yet, and how she’s empowering women with her knowledge. BEYOND EXPECTATIONS … I first started in 2008, when technology was scarce, so handling a machine that’s about 5kg for long periods of time was a norm. Many people didn’t believe in me. I was determined to succeed and found myself working twice as hard. I learned how to execute a structured process, along with different products and polishers. Detailing with heavy polishing machines does demand some strength and stamina, but only with practice does your work result in the right techniques. In the past, I spent a lot of time looking at and working with different kinds of finishes. My hands are one of my greatest tools. You could blindfold me and I’d know it’s a Rolls-Royce just by feel. SIZE DOES MATTER … The Cullinan’s size is, of course, a challenge. A Rolls-Royce is meant to have presence. Curved areas are also difficult to detail, but I know my polishing machines, so these problems can be overcome. The Cullinan has been my biggest detailing project so far. The fact that it’s named after the largest gem-quality rough diamond in the world made me want to ensure that there is a “diamond finish” when I’m done with it. ATTENTION TO DETAIL … As a detailer, I am most impressed by Rolls-Royce’s bespoke paint—you can select from around 44,000 colours! The Cullinan’s paintwork is thick, and the gloss is deep and intense. Its hand-painted coachline—by the only painter that is able to do it, Mark Court—requires an extra delicate approach. 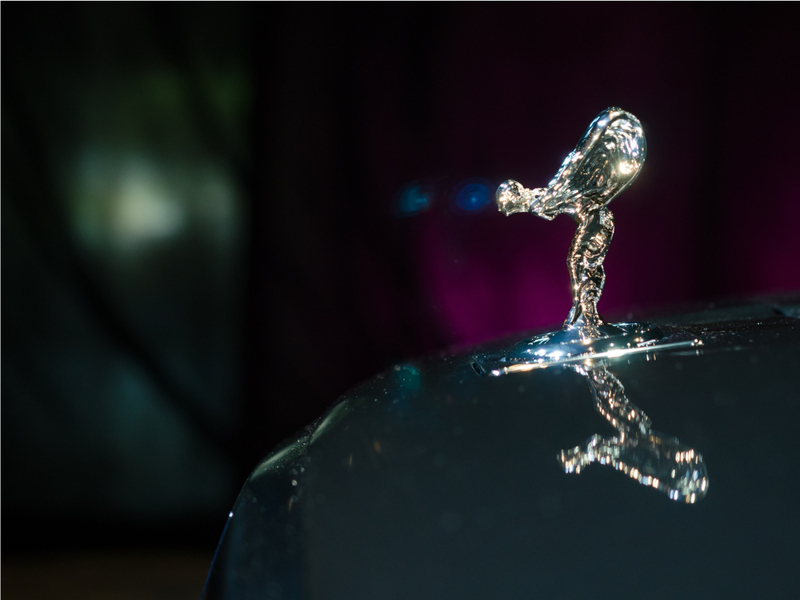 WOMEN ON TOP … One of the most recognisable icons in the world is a woman—the Spirit of Ecstasy, Rolls-Royce’s signature bonnet ornament, specifically. Rolls-Royce looked to a woman to show grace, elegance, and speed. For me, the flying lady is the epitome of female empowerment. 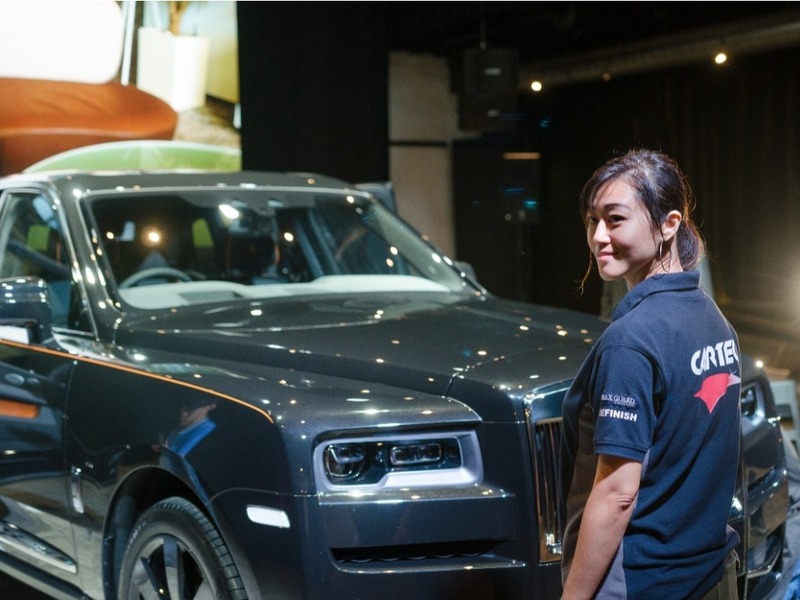 The Rolls-Royce Cullinan has had a lady’s touch throughout, too—Heike Caroline Krismer was the project leader. The surface of the dashboard actually looks like a Prada handbag. Today, I not only share my auto detailing knowledge on social media and through training sessions, but I also teach other auto detailers marketing skills and how to turn a profit. There are many women in the auto detailing industry in Malaysia now, and we hope to inspire more women.